*After just one airing of its new series “Power,” Starz today announced that the new crime drama has been renewed for a second season. Creator, showrunner and executive producer Courtney Kemp Agboh and fellow executive producers Curtis “50 Cent” Jackson, Mark Canton, David Knoller and Randall Emmett will all return for the sophomore run. The eight-episode first season is set in two different worlds, the New York club scene and the brutal drug trade. It follows James “Ghost” St. Patrick (Omari Hardwick) as he attempts to leave his illegitimate lifestyle behind. Production is set to begin on the 10-episode second season in and around New York, as well as at its home base at Steiner Studios in Brooklyn this September. 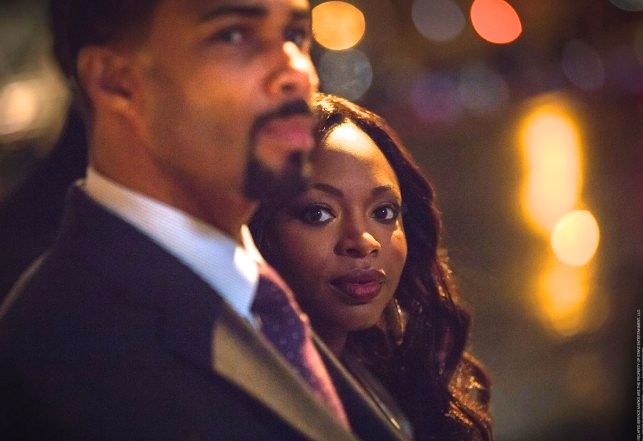 “Power” premiered to roughly 2 million viewers this past weekend. New episodes air Saturdays at 9 p.m.
what are you all talking about? They only showed one program 14 days in a rows on 4 channels, I am pissed, I paid money to see a series of power ( and get this new showing @ 9:00pm Saturday) they showed the same showing two weeks in a row .I am to afraid to watch the same power program 3 weeks in a row. someone needs to be fired. Oh I like all the actors. How can I be happy for a second season when I can’t get past the first week.??? ?